Thanks to the hard work of our team in Uganda and your generous contributions, we are seeing lives changed and communities transformed. Over the next few months, we want to start sharing these stories with you. Below is the first installment in a series of posts highlighting women that have been empowered by Umama. When Aisha joined Umama, she operated a small vegetable stand. She recognized that with the population increase in her village, there was more demand for certain items, but she lacked the capital to meet this demand. That’s where Umama came in. With her loans, she has been able to greatly increase the amount of vegetables she stocks in her store, and has also purchased charcoal to sell. And because Umama has lower interest rates and longer periods to pay back loans than other institutions, she says that these loans were much more accessible to her. Although she has seen her profits from her vegetable stand increase, she dreams of owning her own salon. 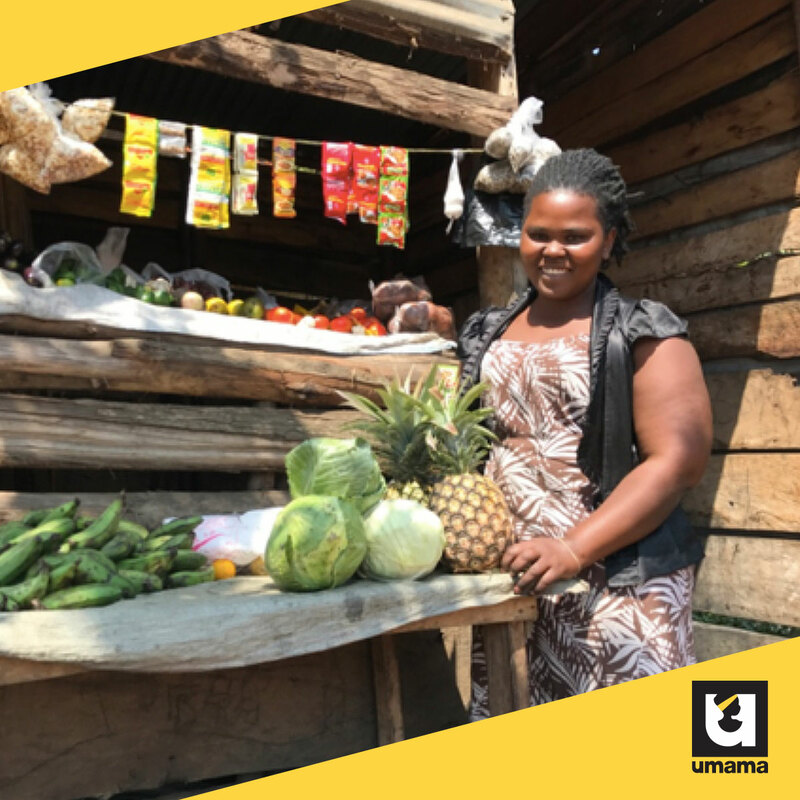 Through Umama, she has access to hairdressing scholarships that would help to make this dream a reality.